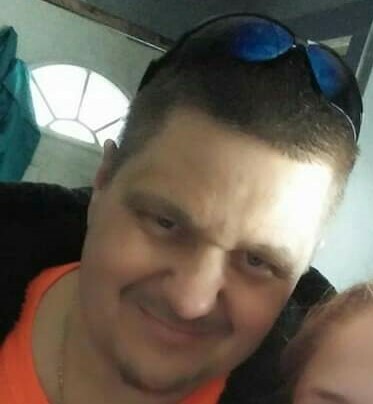 Timothy Lee Ray, age 47, Logansport, passed away at 6:52 a.m. on Thursday, April 11, 2019, in St. Vincent’s Hospital, Indianapolis. Born August 12, 1971, in Mannheim, Germany, he was the son of Albert E. and Doris Evelyn Scott Ray. In earlier years he had been employed in construction and painting. Later, declining health prevented him from working. Surviving are a daughter, Alexis Titus, Logansport; sister, Jennifer Ray, Texas; girlfriend, Amanda Titus. A gathering of friends will be from 5:00 to 7:00 p.m. on Thursday, April 18, 2019, at Kroeger Funeral Home. Everyone is invited to celebrate Tim’s life at that time. Family and friends may leave a memory or message of condolence by visiting the online obituary at this website.